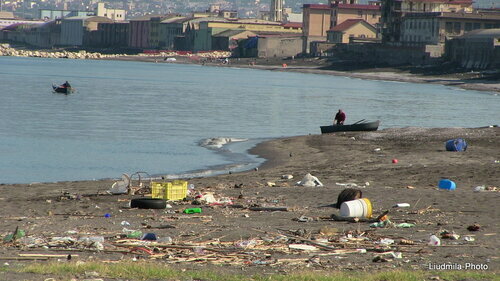 This morning I passed... cleaning a beach in one of the touristic towns, Castellammare di Stabia. 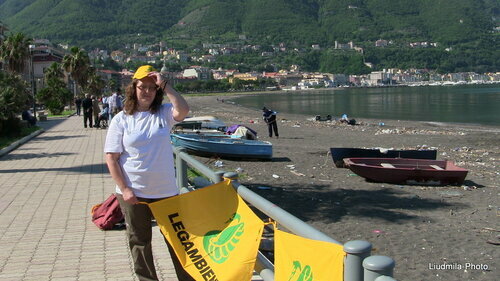 The situation on the beach was really terrible and some organizzations of volunteers (similar to Greenpeace) decided to try to sensitize the governors of the town and obbligue them to clean the beach, too. The morning was excellent. The sun was shyning, the sea was similar to the olive oil. 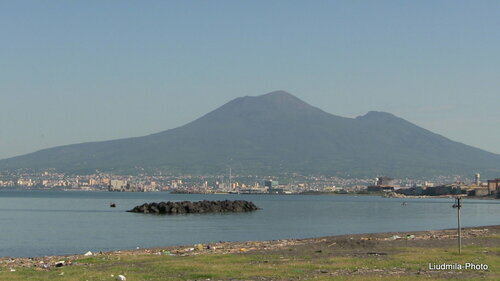 Vesuvius, a rare case, was completly visible without that normally present kind of haze that makes it not very clean. 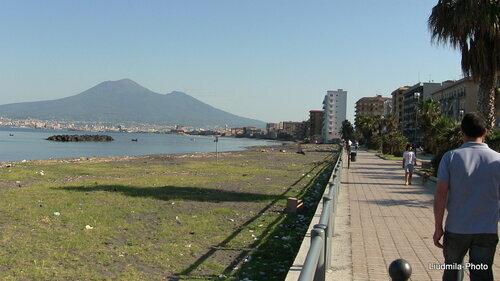 Hundreds of persons were running and jumping and walking on the seaside. I wanted to take a photo without persons but it was unpossible. Always was sombody for my camera. I have to confess: it was the first time I came there to explore this town, and it was completely new for me. There are splendid Roman villas there, and we visited 2 of them this morning. But I never found some hours to explore them before. So, my very first time had a Holy Aim: to make those persons live more beautiful life. 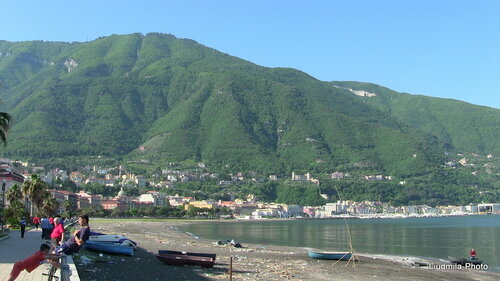 It was maybe my thank you for the free entrance in the archaeological sites of incredible beauty.